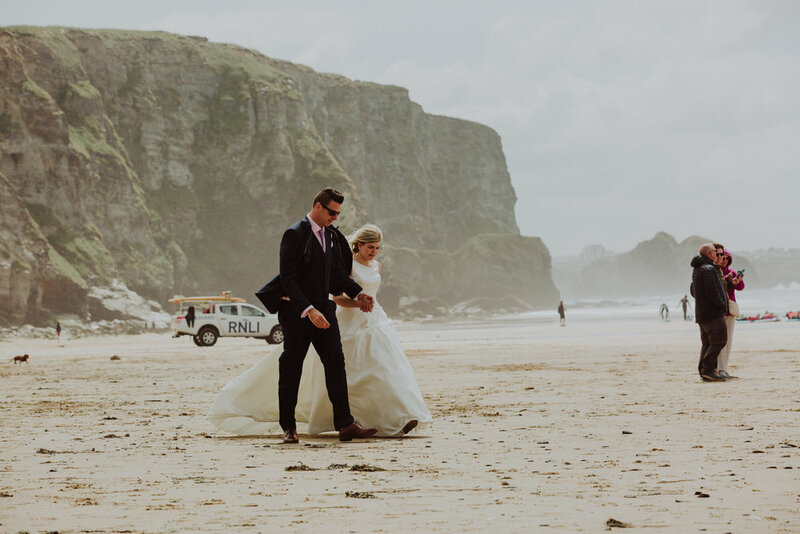 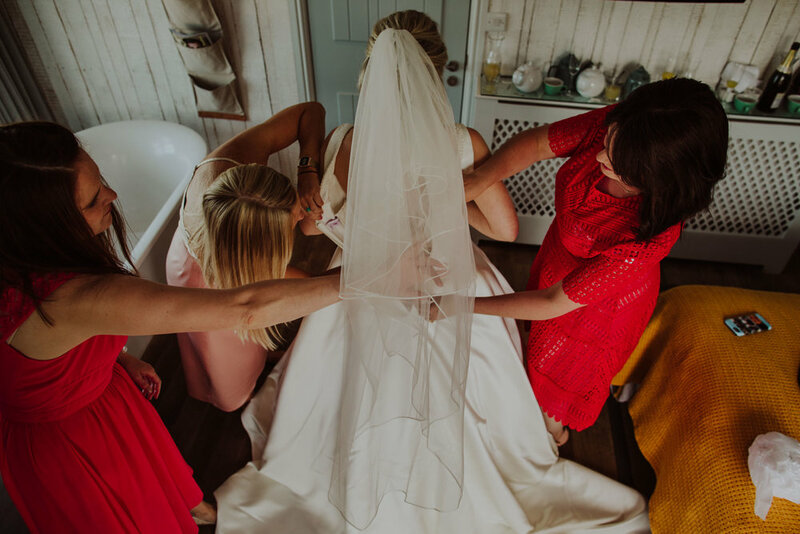 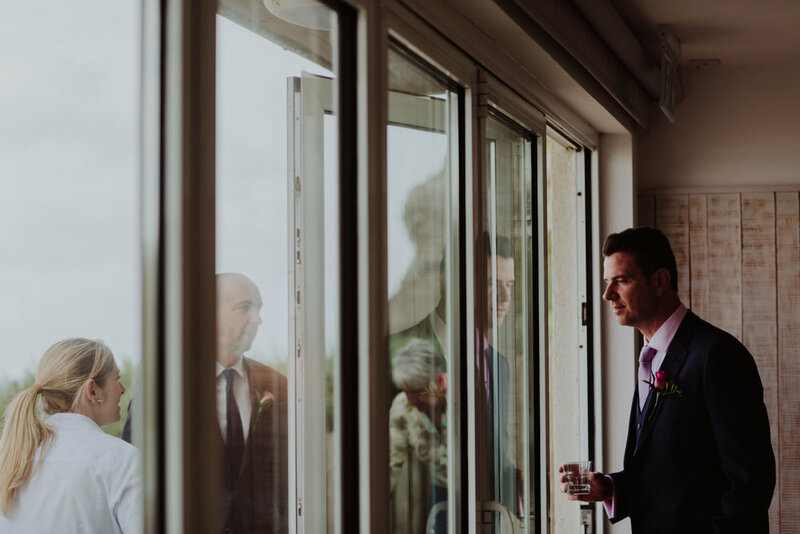 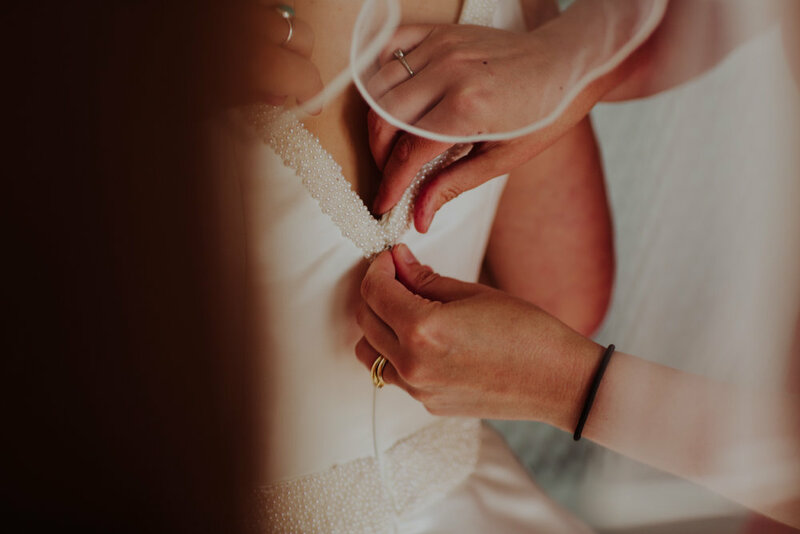 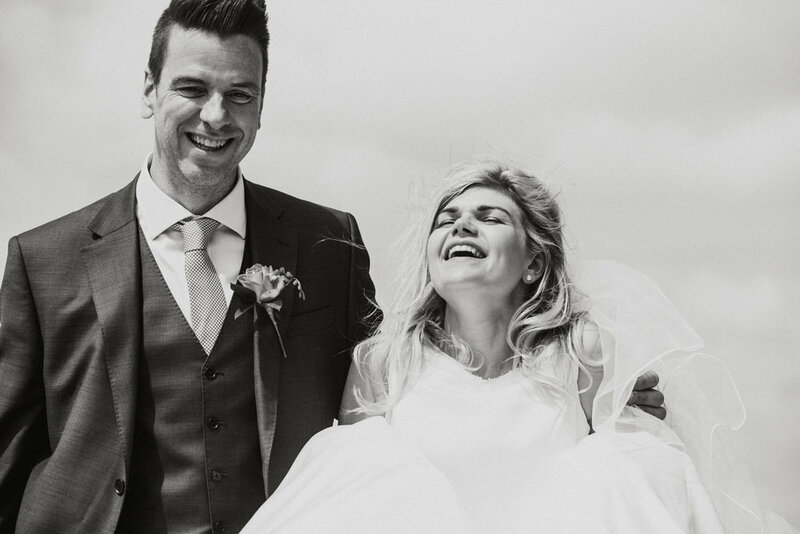 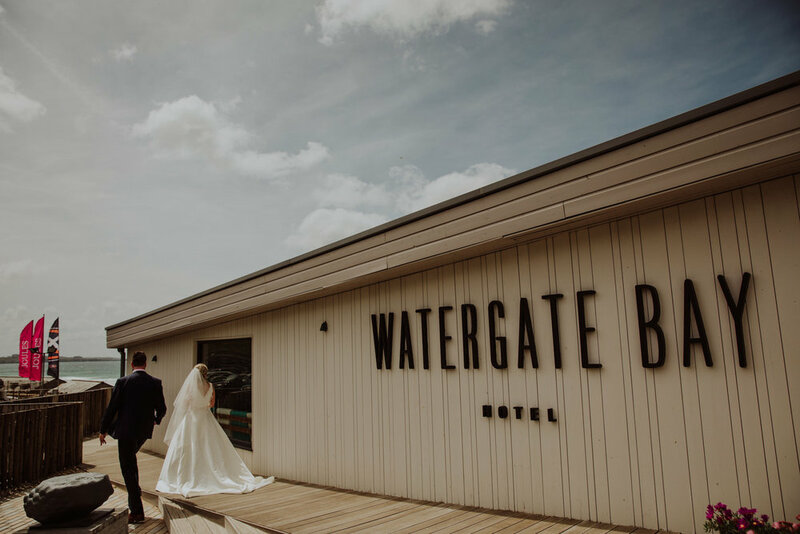 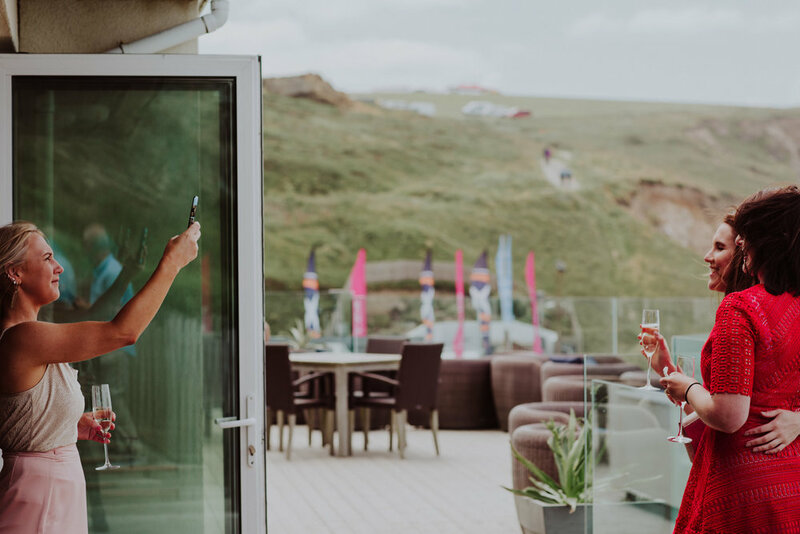 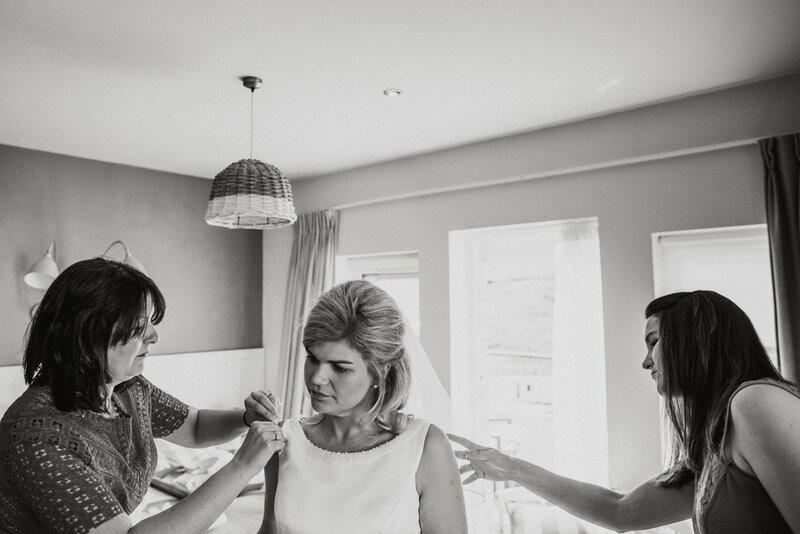 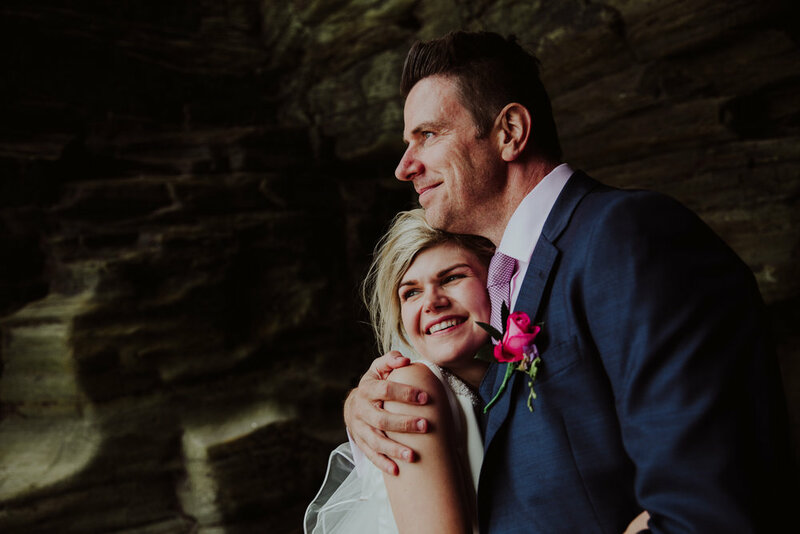 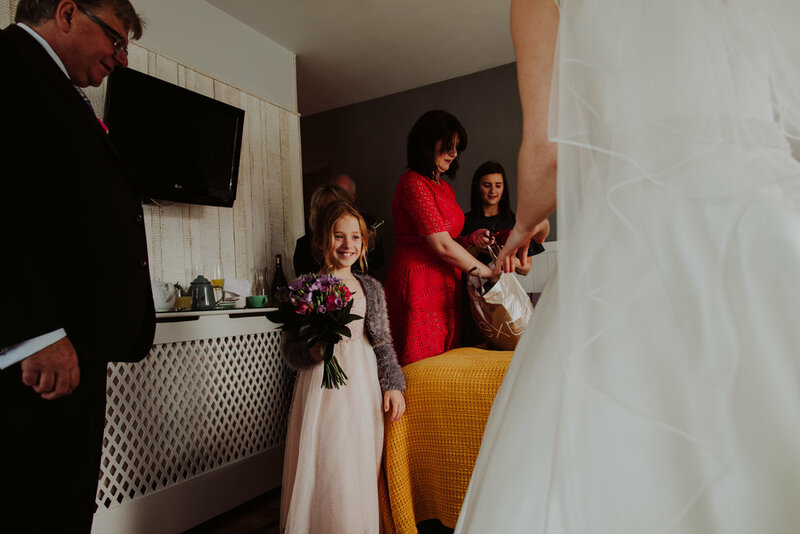 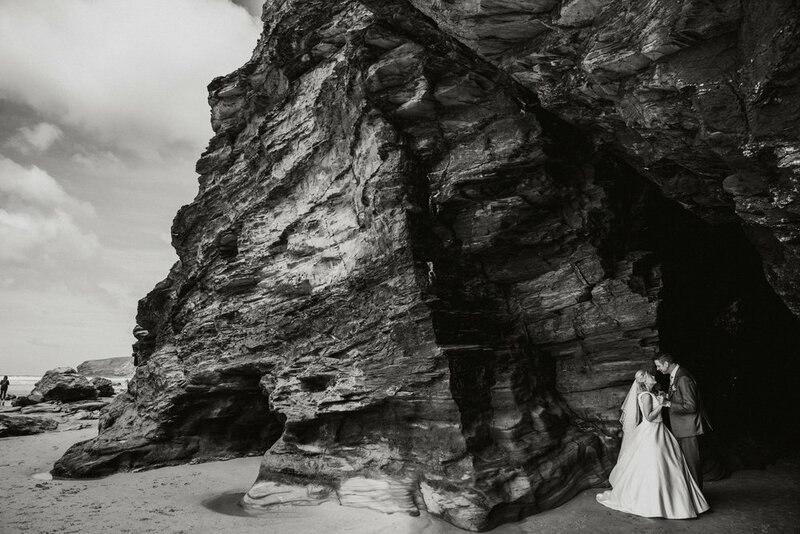 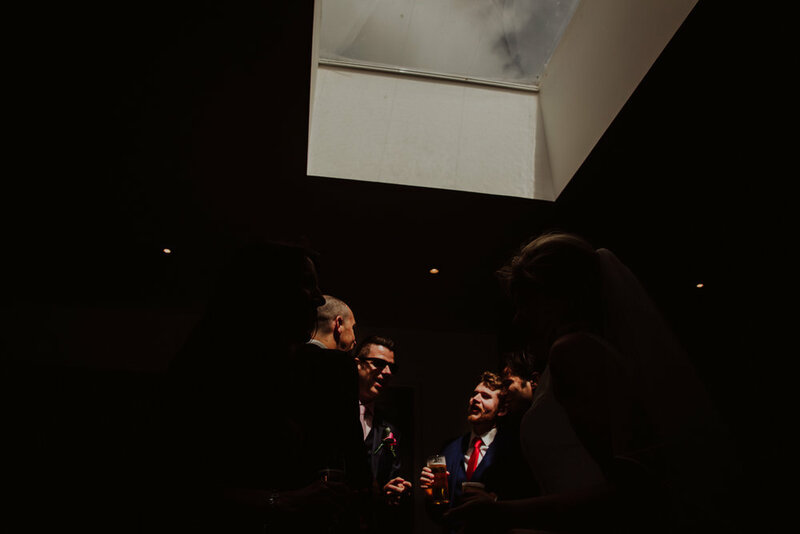 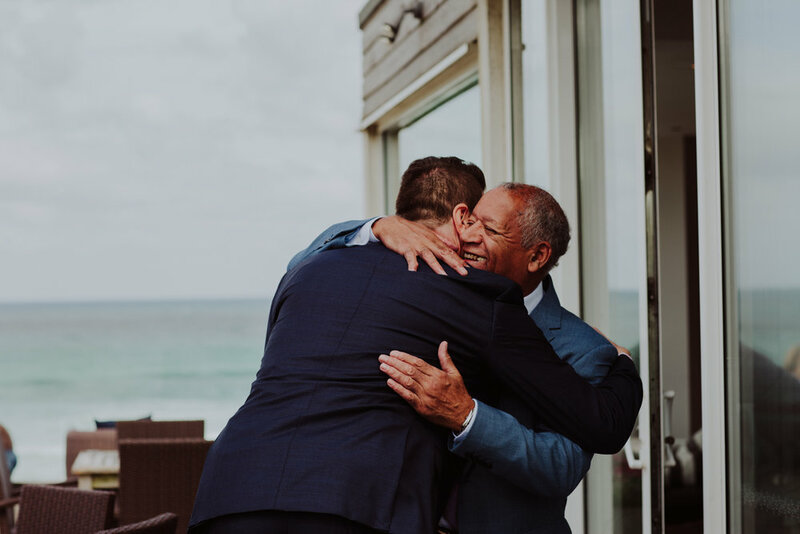 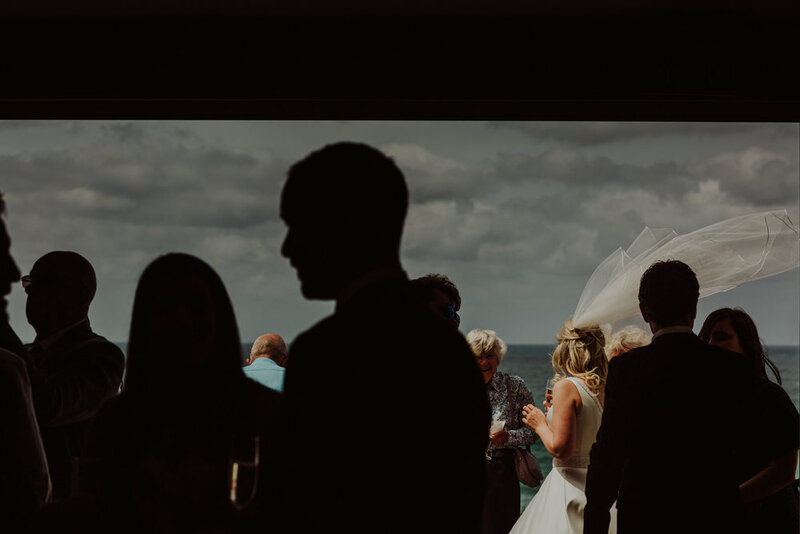 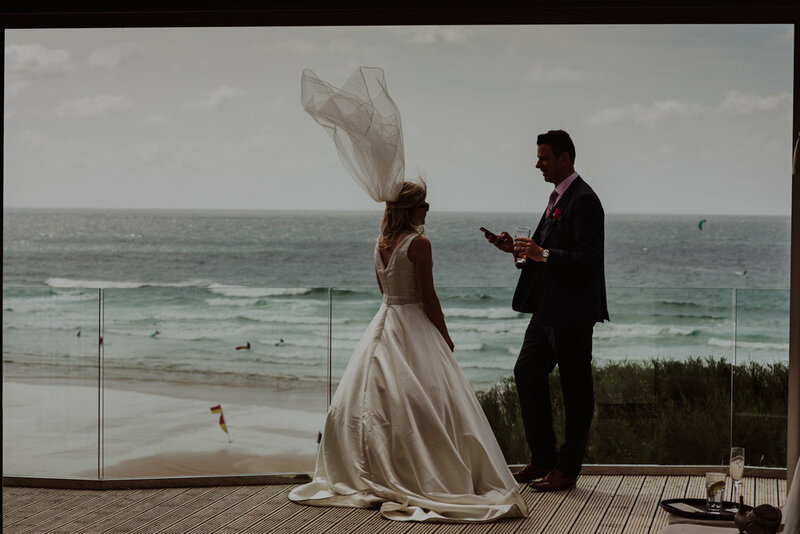 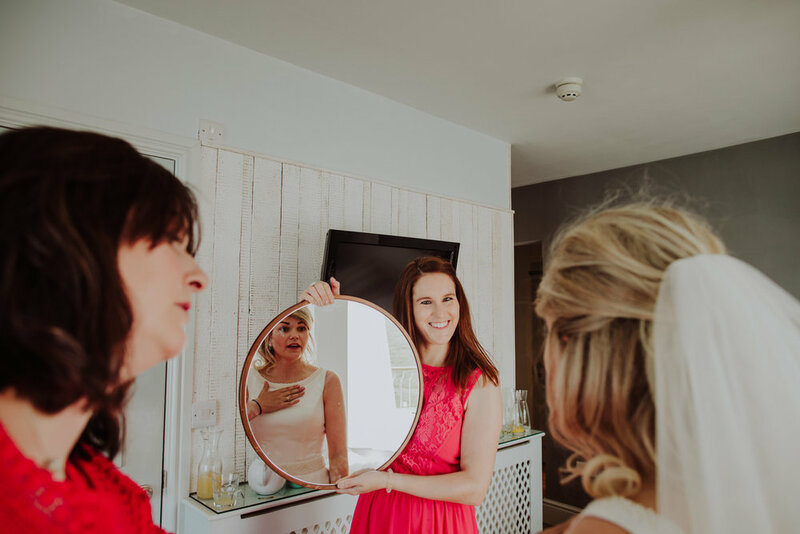 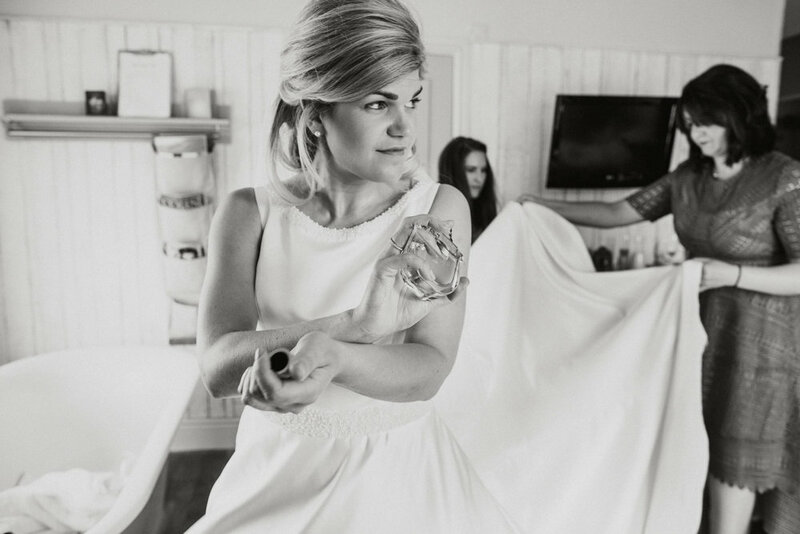 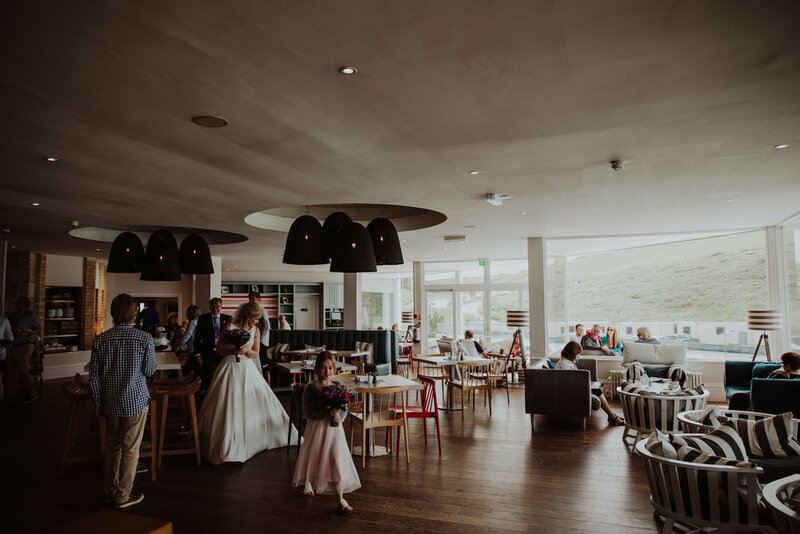 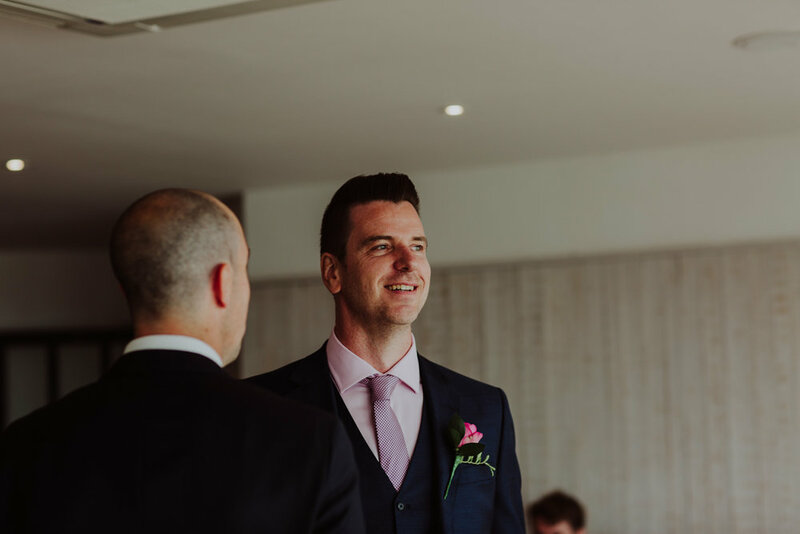 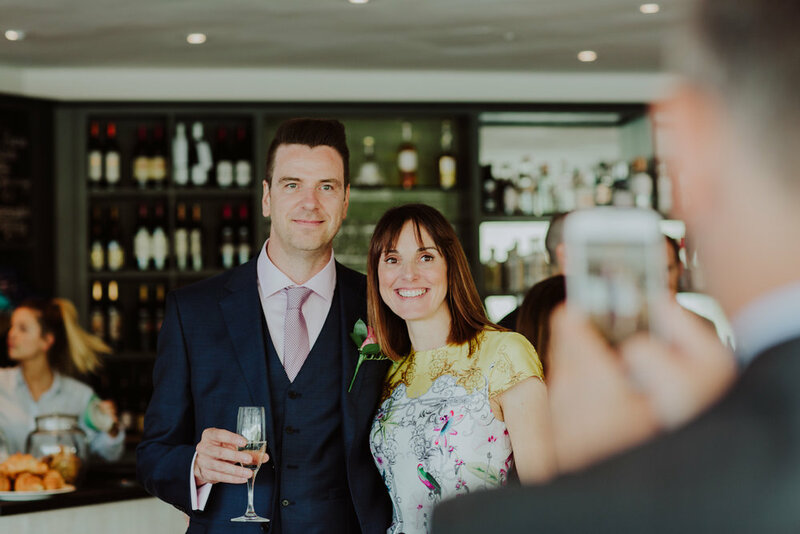 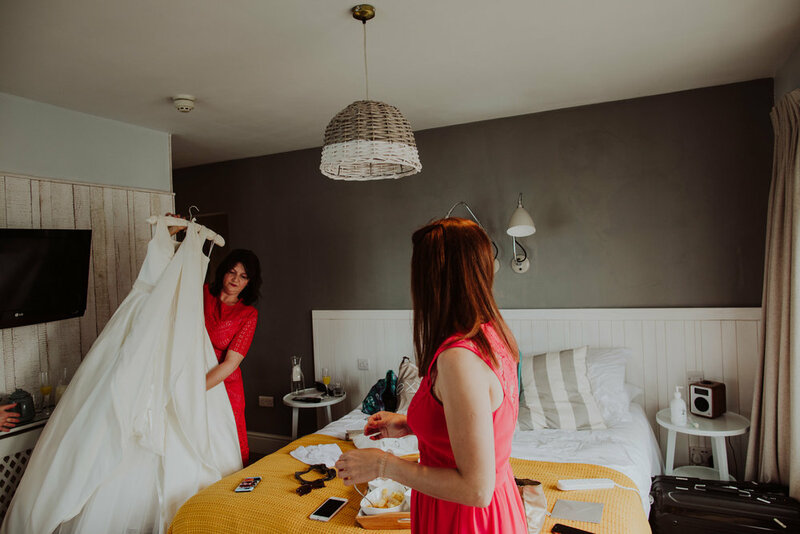 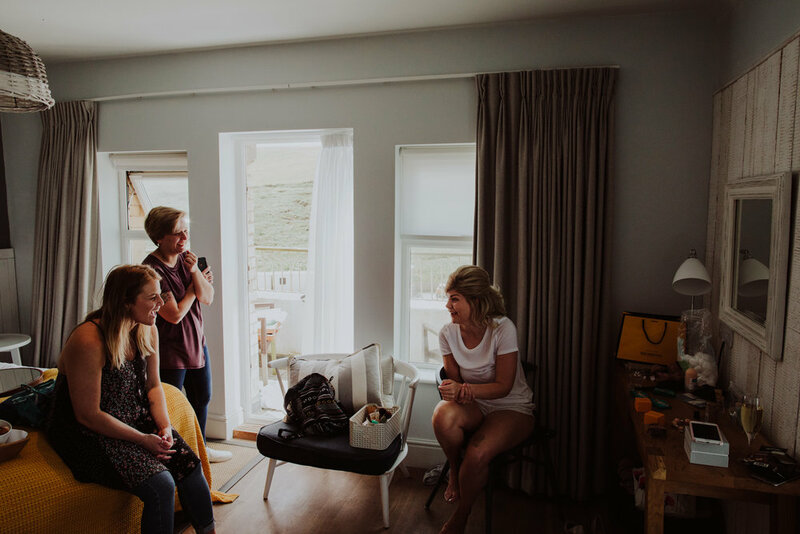 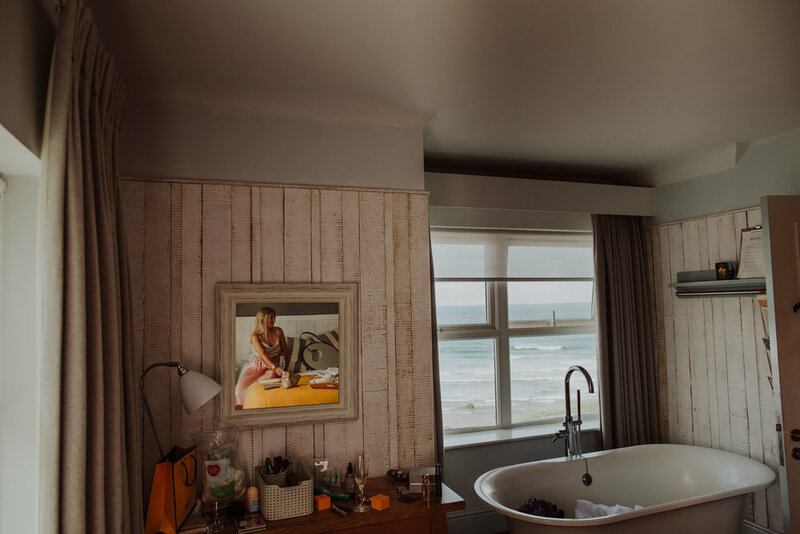 There's one place in the Southwest that I love almost as much as my home county of Devon, and that is Watergate Bay in Cornwall, so you can imagine my delight when Sophie and Lee got in touch to ask if i'd be their wedding photographer for their ceremony down in Watergate Bay Hotel. 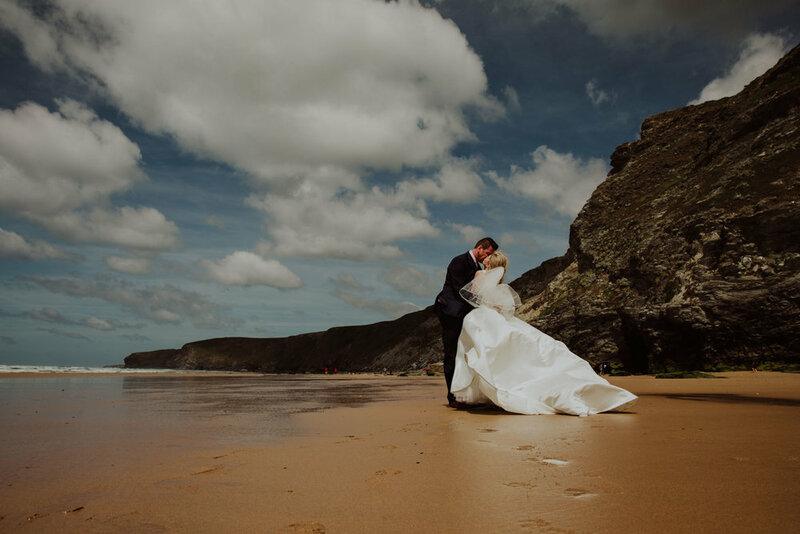 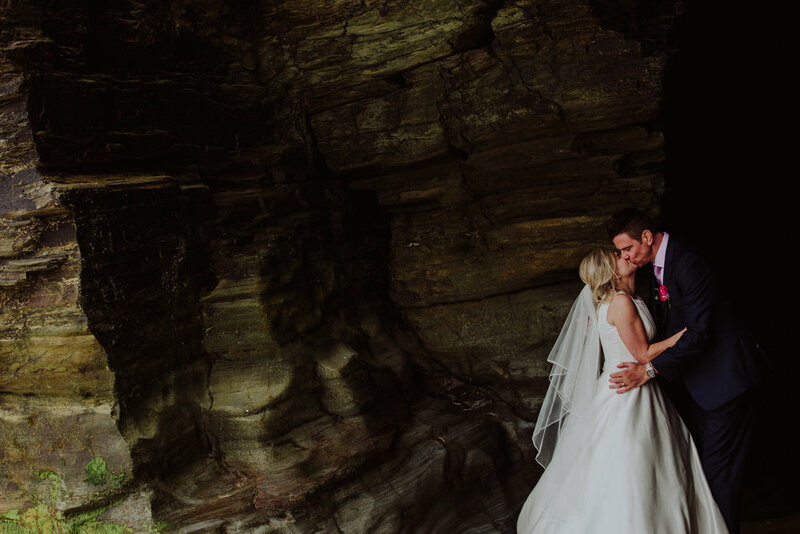 Based on the edge of one of the most beautiful beaches in the Southwest I knew it would be a fantastic wedding to photograph whatever the weather threw at us, and I wasn't wrong! 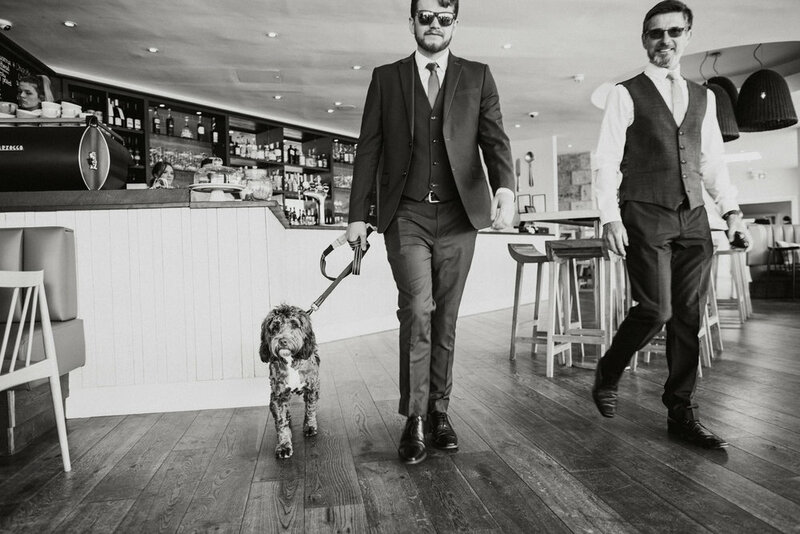 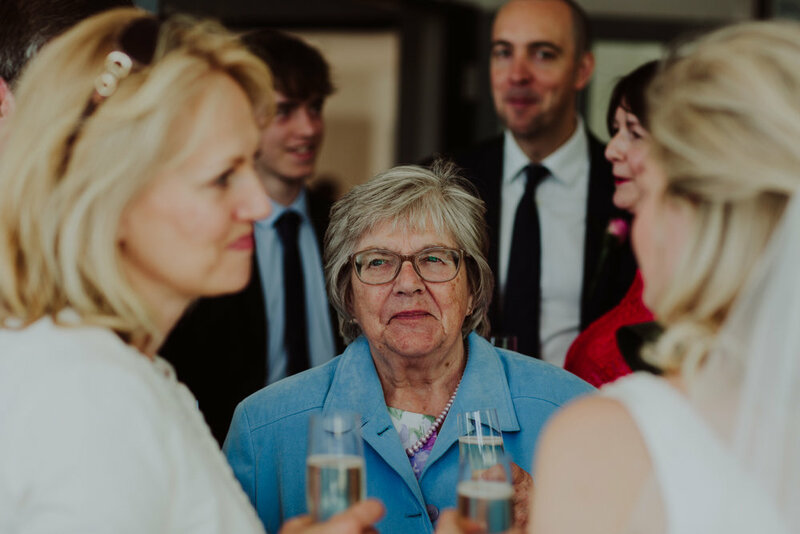 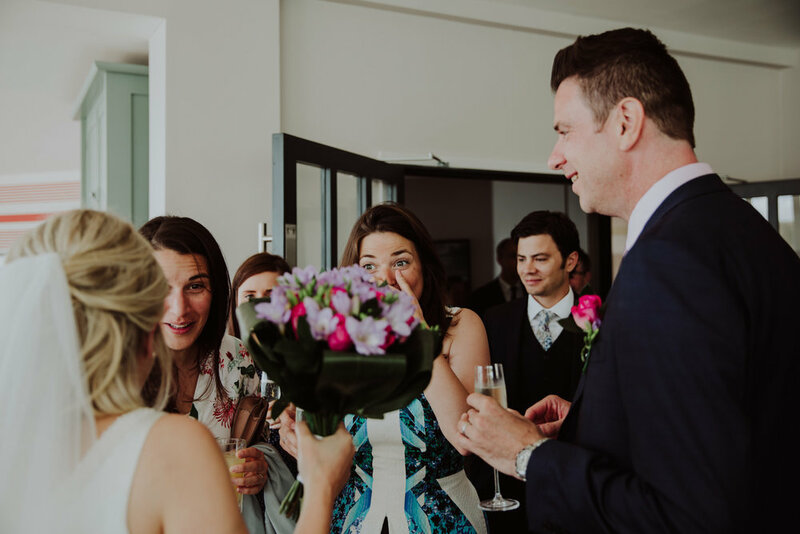 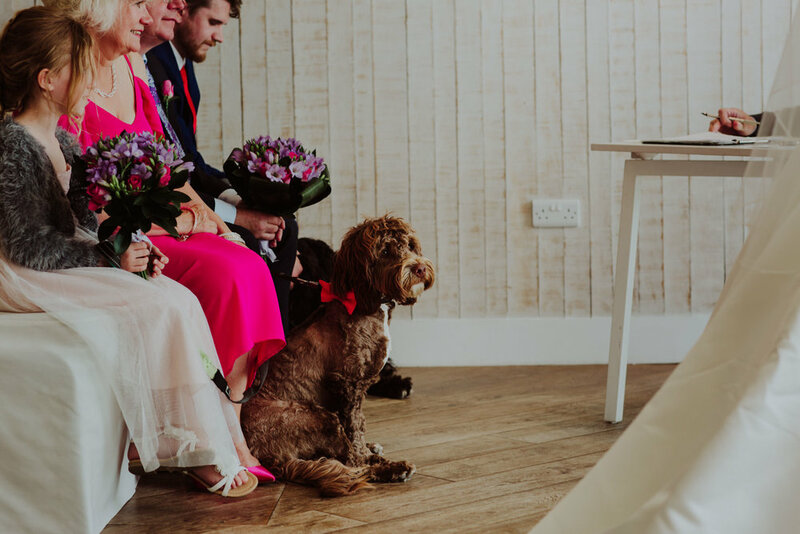 Surrounded by their nearest, and dearest humans and dogs, Sophie and Lee's ceremony was full of emotion, laughter and a fair bit of growling from a slightly miffed pair of hounds that were hoping for a front row seat. 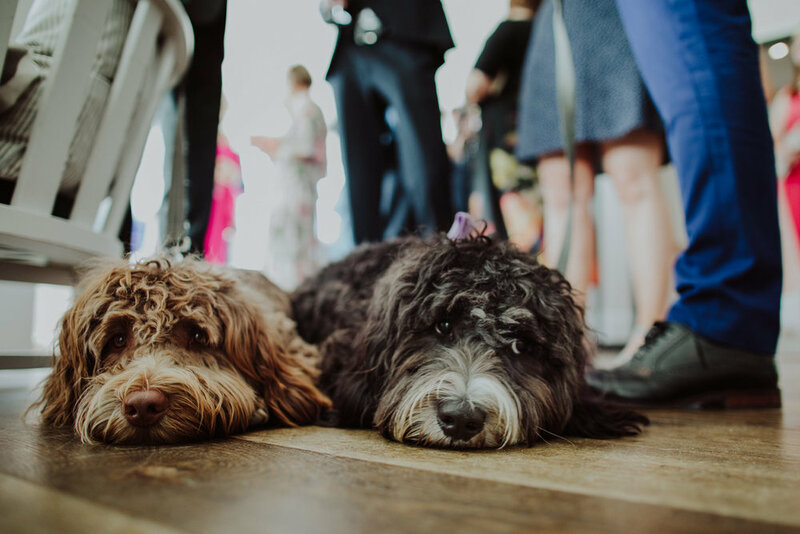 Luckily the celebrant stopped the ceremony to allow Sophie and Lee's beloved pooches to come to the front before they declared a reason for the ceremony not to proceed! 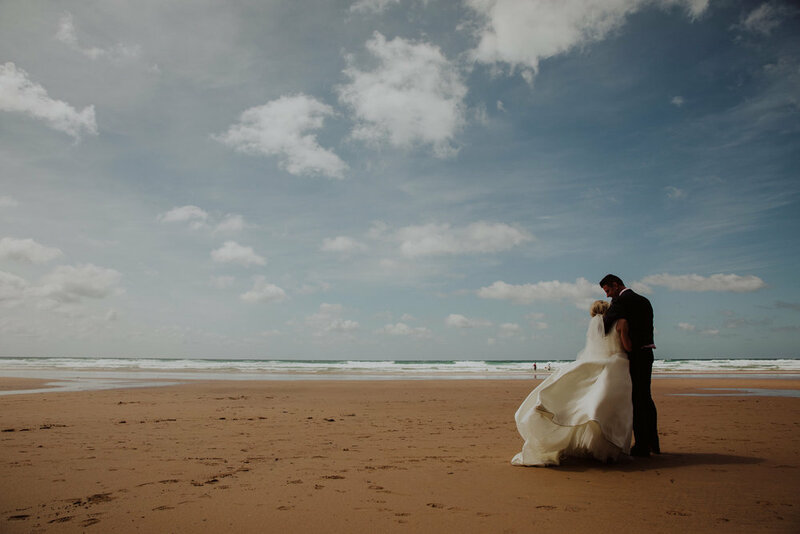 As the first break in the weather for a while led to wall-to-wall sunshine, it was time to go out on the (very) windy beach for a stroll. 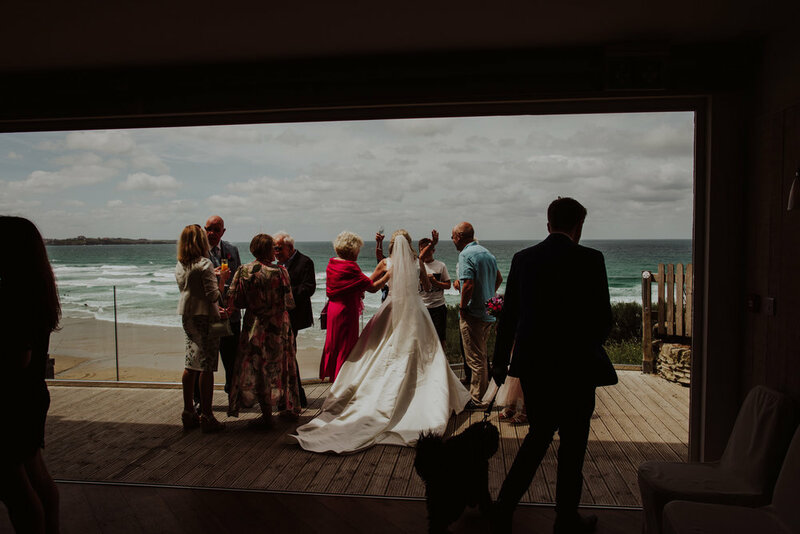 Highlights of the day included: Sophie's sensational dress, that looked all the more epic given the windy day; their lovely pet dogs and all the entertainment they caused during the ceremony; the location - what a location; Sophie and Lee's natural affection with each other; Watergate looking splendid! 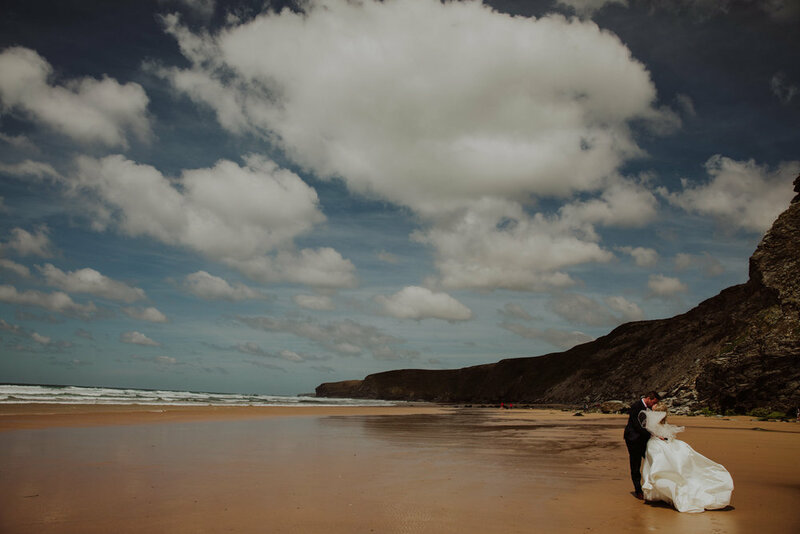 Sophie and Lee, thanks for allowing me to photograph your amazing wedding day, wishing you both every happiness for your married futures together (just keep the dogs sweet!). 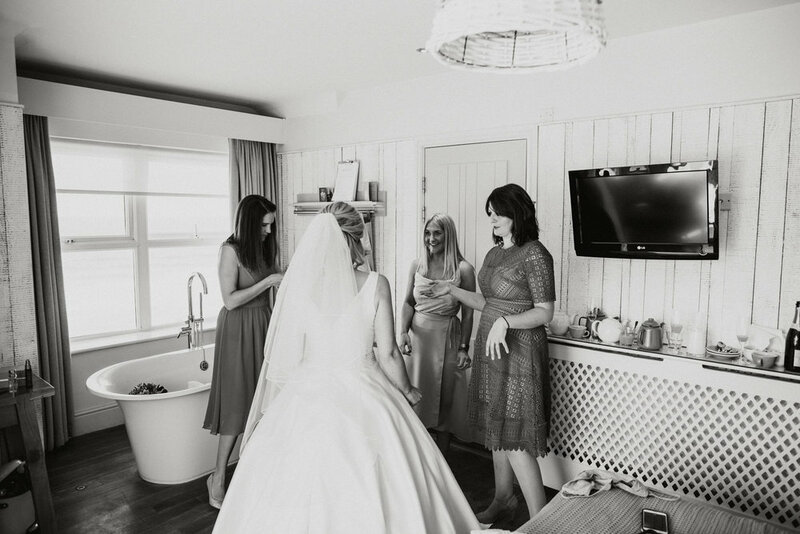 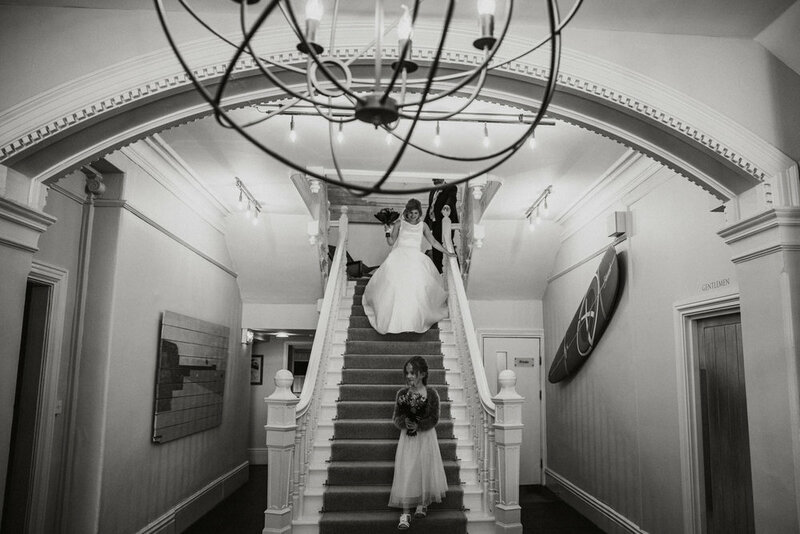 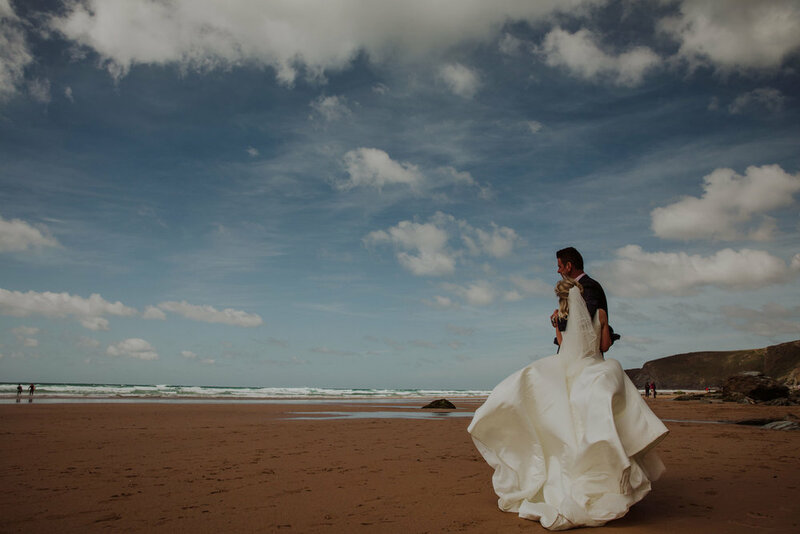 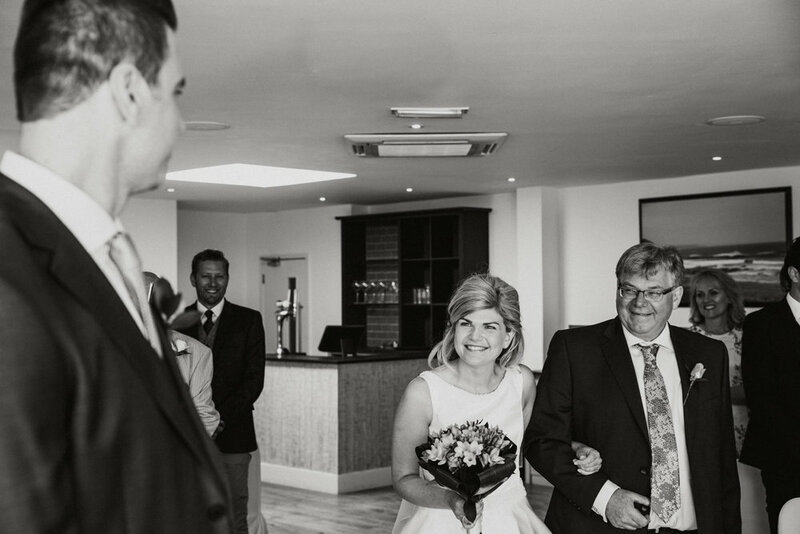 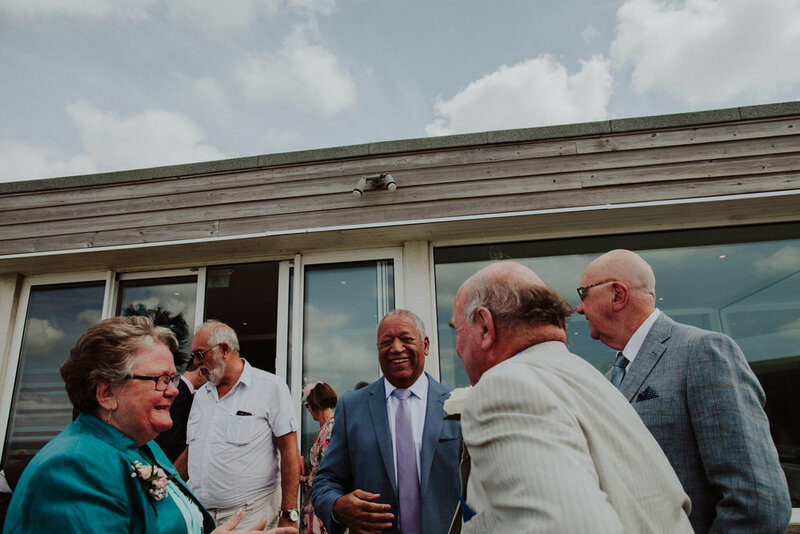 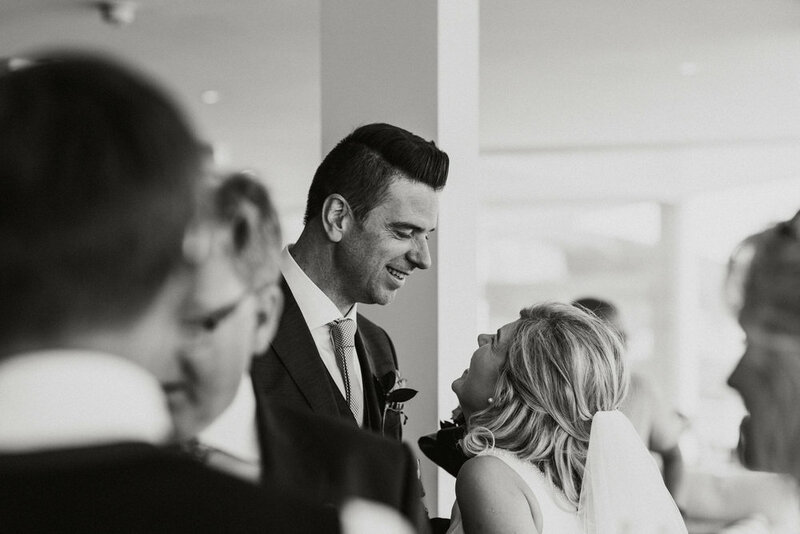 If you're getting married at Watergate Bay contact me for a chat!